With its built-in battery, the SAI 340 Quattro provides up to 2 hours of stand alone operation, ensuring an unprecedented level of redundancy. Yet it weighs in at a scant 1/2 pounds - less that a typical airspeed indicator. The fully TSO’d display fits directly into a standard round 3” instrument hole with no panel modification, making it a near drop-in installation. 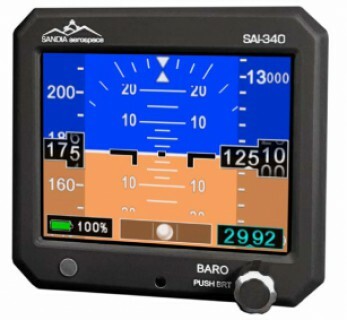 Stunning air-transport quality graphics provide amazingly smooth, fluid motion, making the SAI 340 an investment to be proud of - and at a price that won’t break the bank. 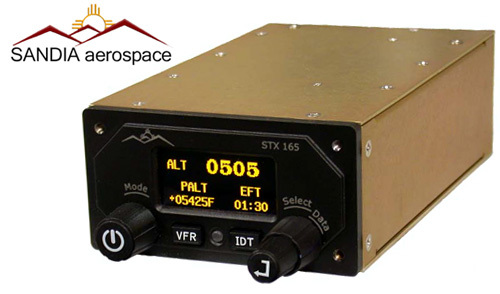 The STX 165 Sports a professional 1/2 3ATI Bezel that compliments any aircraft panel. Its bright OLED display is readable in virtually all lighting conditions and automatically dims for night time operations. Check out just a few of the STX 165 features. 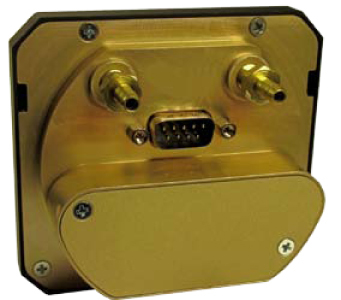 Built-in Encoder Simplifies installations and lowers cost. Small and Light Weight 7.4" behind the panel depth, 1.3 lbs.